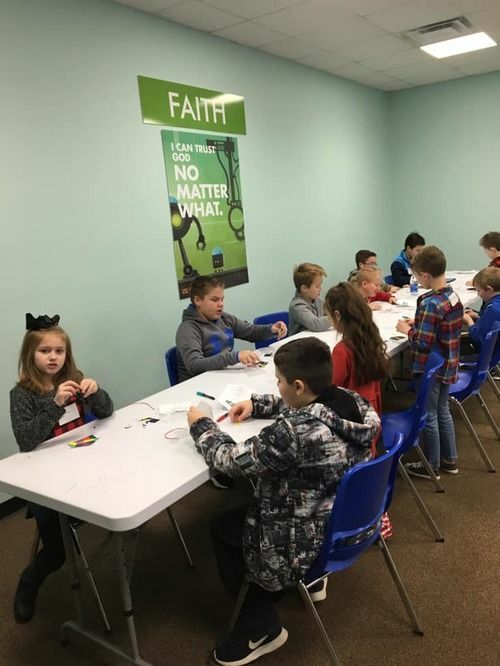 The Children’s Ministry of Destination Community Church seeks to help each child discover Jesus through fun, creativity, and biblical learning on their level. We offer a safe place for children to grow both emotionally and spiritually. This ministry watches newborns and serves children up to fourth grade. Let your kid’s learn and have fun while you attend the service! 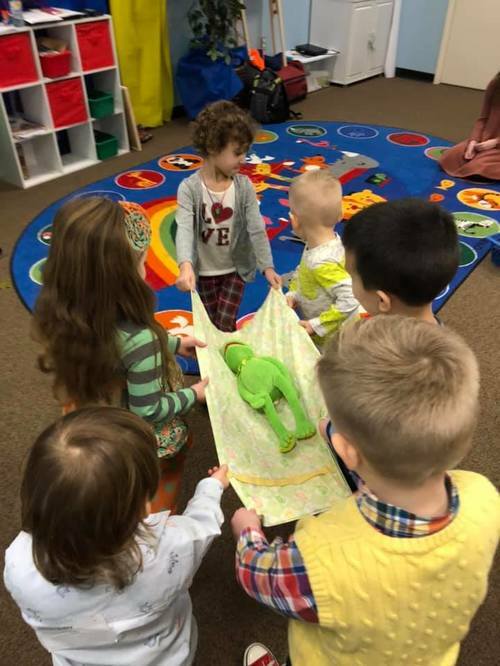 Our Children's Ministry is divided by age into three groups; Nursery, Preschool, and Elementary with each having a time of worship, prayer, and interactive lessons. The Nursery is for children ages newborn to 24 months. During your child's visit, they be cared for both emotionally and physically by our nursery staff. Our staff will change diapers, bottle feed, provide a snack, hold, rock and comfort your child throughout their stay. In addition, children will participate in free play followed by Circle Time, where they will be prayed over before ending the class with a simple children's worship song. The Preschool room is for children ages 2-5. Preschool staff are committed to helping our little ones understand worship and encourage them to talk to God any time and any place. Staff will lead your children through a meaningful bible lesson, followed by an exciting activity or craft. Lessons are kept simple and fun, and focus on one of the following three foundation truths: God made me; God loves me; Jesus wants to be my friend forever. It is our hope that these truths take a firm hold of our children's hearts and are carried with them for the rest of their lives. The Elementary room is for children 6 years old up to 5th grade. Each weekend, your children are invited to participate in a safe, fun and purposeful time of worship and teaching to learn more about God. We are committed to helping your child grow in every aspect of their relationship with Jesus Christ and knowledge of His Word. Our staff have a passion for serving in children’s ministry and have a deep desire to see children know, love and serve Christ. Be sure to visit the Kid's Check In desk located in the lobby for any questions or concerns. If it is the first time your child has visited one of the Children's Ministry rooms it is helpful to be a few minutes early prior to the service so one of our volunteers can quickly get everything set up. Your child will receive a check in name label and you will receive a pick up label that corresponds with your child. Ready to Serve in Children's Ministry? Fill out the form at the link below to get started.